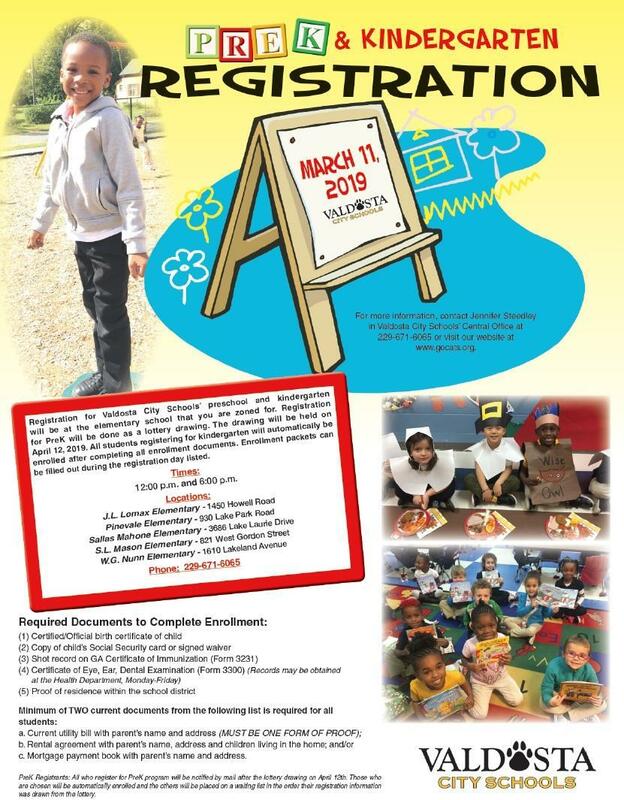 If you have an upcoming kindergarten student and live in Valdosta City Schools’ District, come and register early to beat the back to school rush! Registration will be held at each of the elementary schools. Mortgage payment book with parent’s name and address. Click on the link for a copy of the 2019-2020 Academic Calendar.